Happy March! I know the calendar says it is March, but here in Indiana, it certainly doesn't feel like it. This seems like the longest winter EVER (more snow again the last couple of days)! I am in serious need of spring. 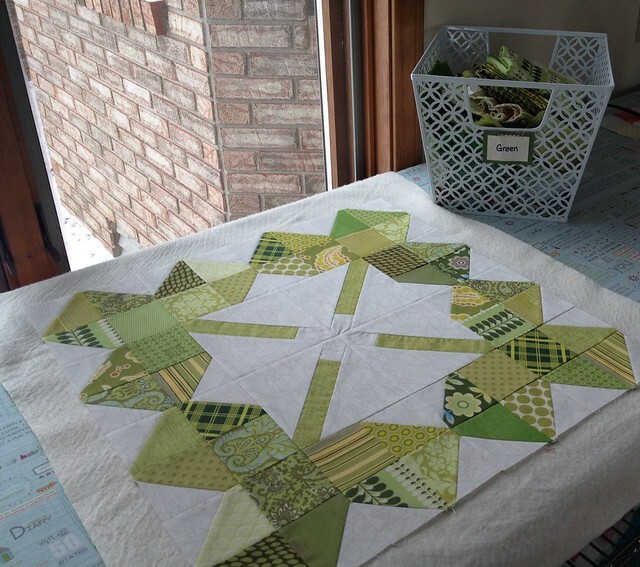 So, when I saw Kelly's shamrock block that she turned into a pillow, I was completely inspired and just had to make a table topper for myself. I didn't have a patten, I was just trying to copy from her photographs. I had one plan, but with a bit of trial and error changed it to end up with this. 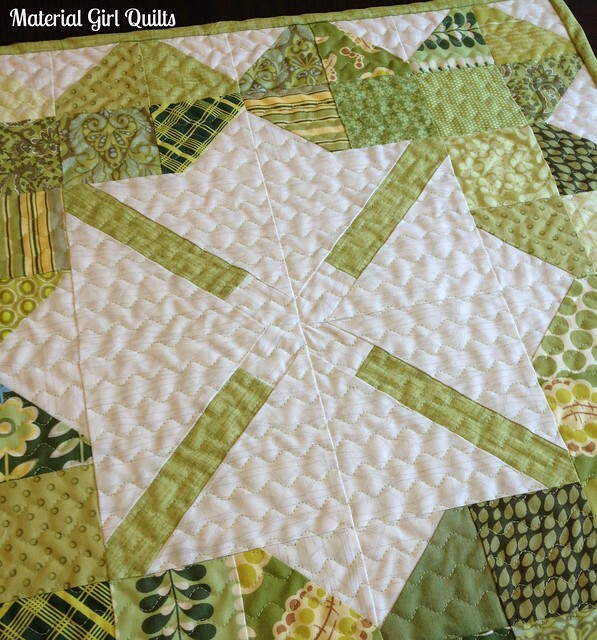 It was so fun to pull out the scrap bin (and a couple of fat quarters) and find some pretty greens for my shamrocks. 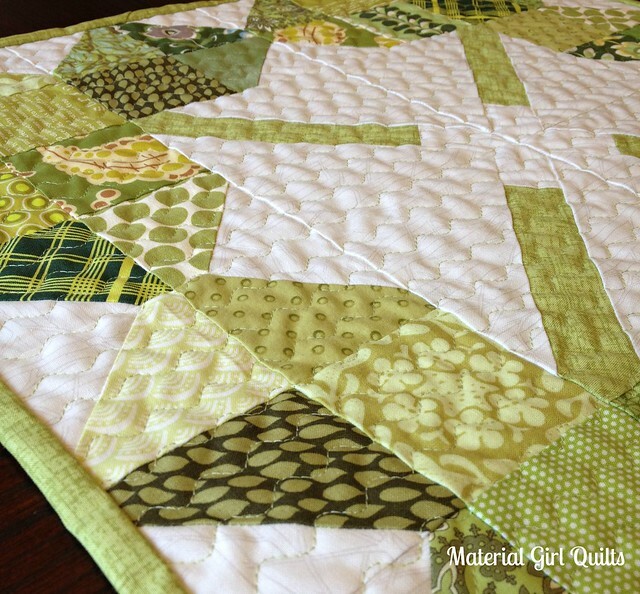 As you can see...I probably still have enough green scraps that I could have made an entire throw quilt of these! Oh well, they'll be ready for my next scrap project instead. What I really needed was something cheery for our coffee table to help me get over the winter blahs. Below is a photo of one of the shamrock blocks. I shortened the stems on my blocks because I wanted them all to come together in the center, but didn't want them touching. I love the effect that extra space creates between the shamrocks. 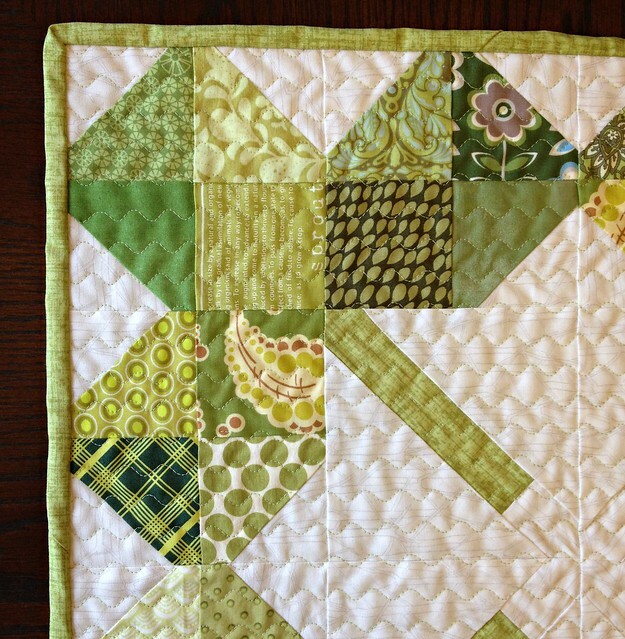 I also love the way the quilting gives the whole thing movement. I used Aurifil 50 wt. #2886 which is a light green that also blended lovely with the background. The wavy lines were created by stretching out the zig zag stitch on my machine. Fast, easy and very effective! 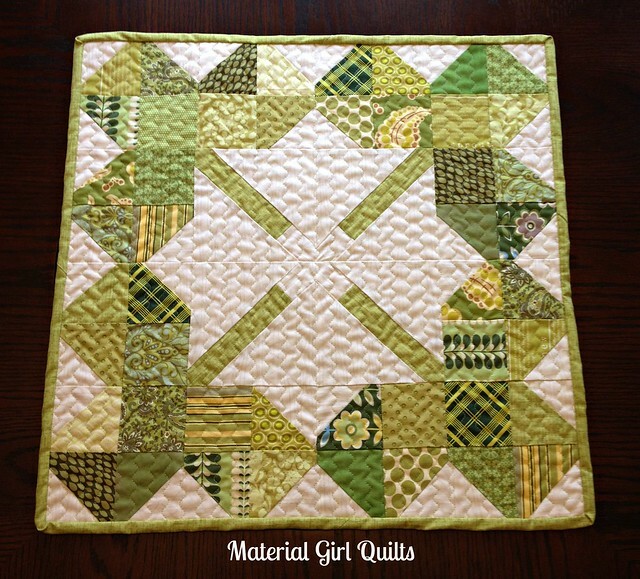 When I finished this quilt and placed it on the table, it really did lift my spirits. It may not feel or look like spring outside, but at least I was able to bring a bit of it inside our home. 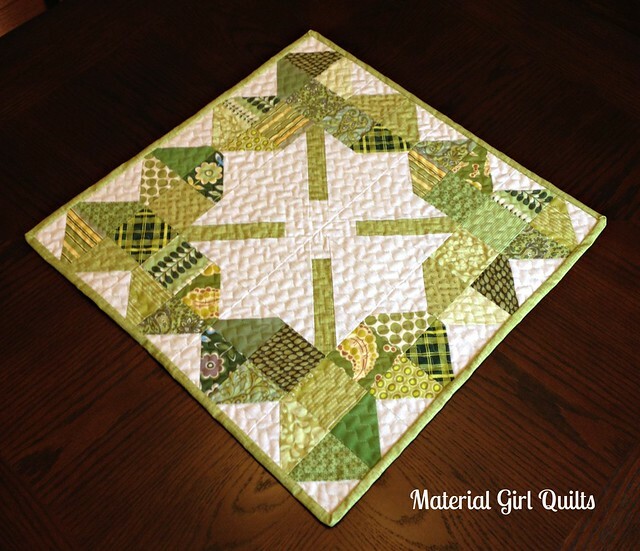 My table topper finished up at 20 1/2" square. Each block finishes at 10". I think Kelly's block was 18" and made a perfect pillow.